Google Fiber Coming to the Southeastern U.S.
Congratulations to the cities of Atlanta, Georgia; Charlotte and Raleigh-Durham, North Carolina; and Nashville, Tennessee. 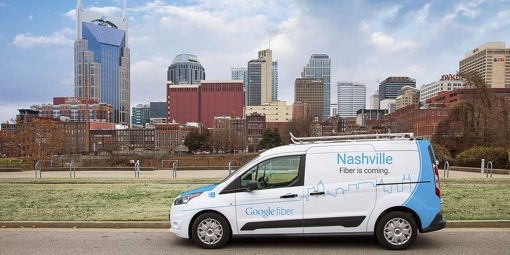 Google has chosen these four Southeastern metropolitan areas as the next to receive gigabit Google Fiber Internet service. Google Fiber has proven an incredibly popular service in the limited number of communities it serves. It’s not hard to figure out why: The fiber optic network offers 1 Gbps Internet service for just $70 per month. That’s about 100 times faster than the average U.S. broadband Internet connection speed at about the same cost. Even those on a budget have something to love about Fiber: Google offers a 5 Mbps speed option for free – you just need to pay a one-time $300 installation fee. So far, Google Fiber has only launched in a handful of cities (including Provo, Kansas City, and most recently, Austin, Texas). It’s benefitted these locations immensely. The added competition has forced existing cable companies in the areas to slash their rates. It’s also sparked a tech startup scene in many of the cities, with entrepreneurs relocating from around the country just to take advantage of the crazy-fast Internet speeds. Now that Google Fiber’s city choices are set, the next step is for the company’s engineers to draft maps of where its fiber optic cable will be routed. The design process will take “a few months,” after which the construction stage will begin. Google hasn’t announced a launch data for the service yet, but if the past is any judge, Atlanta, Charlotte, Raleigh-Durham and Nashville will be enjoying gigabit speeds at affordable prices sometime in early 2016. If you live in one of the four metropolitan areas mentioned, you’ll want to swing by the Google Fiber website and give them your address. Not only will you be notified when service is available in your neighborhood, you’ll also register your interest in the service. That’s no small detail – Google uses all that information to decide which neighborhoods get Fiber and when.